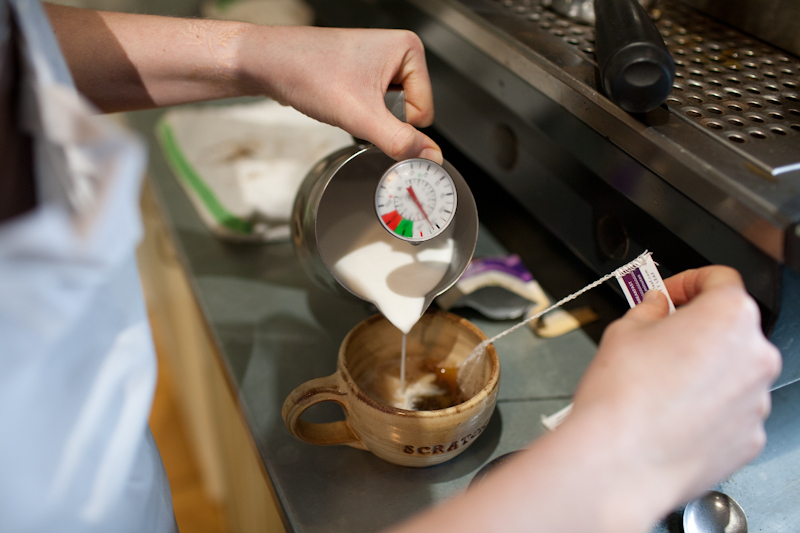 Coffee — Scratch Baking Co.
Coffee at Scratch is never an afterthought. First and foremost, we are serious coffee drinkers and coffee enthusiasts. As early morning bakers, we know how important really good coffee is at the start your day, or to get you over an afternoon hump. We grind and brew exceptional blend and origin coffees from local Portland roasters Coffee By Design, Speckled Ax, and Rwanda Bean Co.. 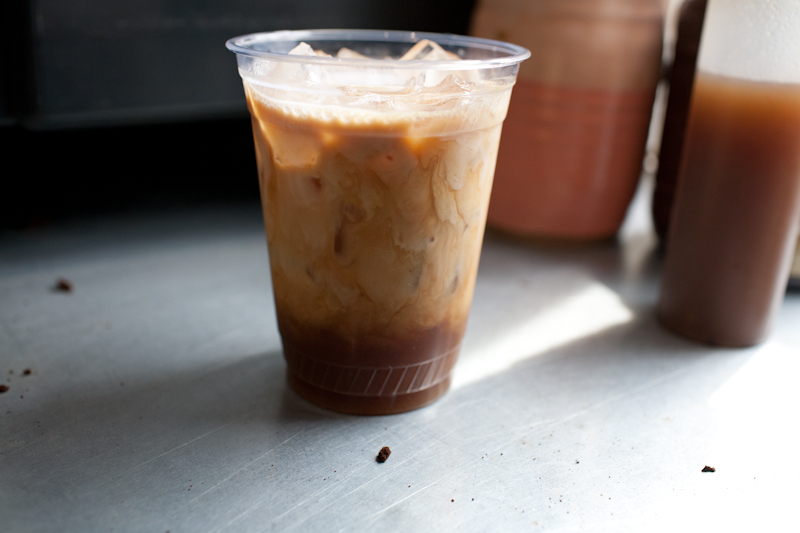 In addition to the drip coffees our classic espresso bar menu includes the Caramel K-Lo (with house made caramel), the Tugboat and the Ginger Milk Tea Latte made with Scratch ginger syrup. For tea drinkers we carry of selection of Mighty Leaf teas and serve our homemade iced tea in the warmer months.